You’ve got your flights and transfers booked for your skiing holiday and you’re ready to hit the slopes. 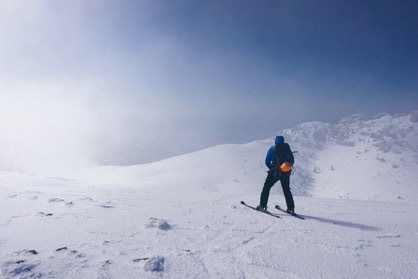 But which pistes do you spend the most time with, and which ones are the very best on offer? To help you make the most of your trip, we’ve looked at every mountain side and brought together our picks for the best ski runs in the Three Valleys. 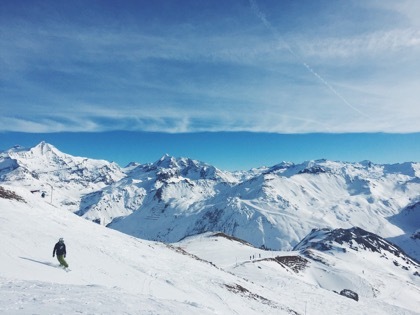 So, whether you’re in need of sights, thrills or some fresh snow to carve into, read on to discover which pistes you should be descending this season. This red piste is a long, spacious descent that’s one of the most popular runs in the Courchevel Valley. Narrowing down towards the bottom, expect to pass through the trees and a gentler ride as you finish. We recommend heading to Creux as early in the day as possible as it quickly fills up throughout the day. Take the Verdons gondola from Courchevel 1850 and take a short ski round to reach this slope. One of the scarier ski slopes of the Three Valleys, and the only Courchevel couloir categorised as an official piste, this is an intense and thrilling experience. This is a narrow, steep and rough-around-the-edges descent that can be accessed from the Saulire lift from both the Courchevel and Meribel sides. You’ll have to avoid large moguls throughout this run, and you’ll need to keep on piste if you want to avoid a nasty tumble. A short but tough couloir, the Grand Couloir is often affected by weather, so check that it’s open before you head up! If the Grand Couloir sounds a little too extreme, then Blanchot may be more to your liking. A far gentler experience and one of the easier choices in the Three Valleys, this descent is often used by school to teach the basics. This is far from a boring experience, however, as you can sink into the snow and take in all of the spectacular surrounding views. If you fancy it, you can drop off the sides and pass through the trees. Blanchot is a perfect for choice for families, young children and those new to skiing. As a starting slope, this is an essential! This run starts with a steep gradient but quickly widens out to an open view of the larger area. Photo enthusiasts will want to check this one out, as the scenery looks awe inspiring at an altitude of 2738m. You’ll be in full view of your fellow skiers as they descend the nearby couloirs to your left, but be sure to avoid others that may be nearby! Combe de la Saulire is a very popular run, and you’re likely to be swamped in the crowds. We recommend getting there as early as possible to avoid the rush! Another red run piste, this slope down Mont Vallon offers up incredible views and a tricky challenge that’ll test your skiing skills. One of two descents from the top, Combe de Vallon is definitely the preferred favourite. It’s not for those new to skiing as there are no alternative pistes to swerve off to if things become too challenging. The only way to finish this one is to head downward! A high altitude and reliable snow fall makes this an essential destination, so be sure not to miss it. Once you’ve pinned down your pick of the best pistes in the Three Valleys, you’ll need some high-quality accommodation. Alpine Infusion offers the very best spaces in Meribel and Courchevel, with luxurious, extravagant and award-winning chalets. Be sure to book your place and make the most of our unique leisure services such as saunas, swimming pools and bars.